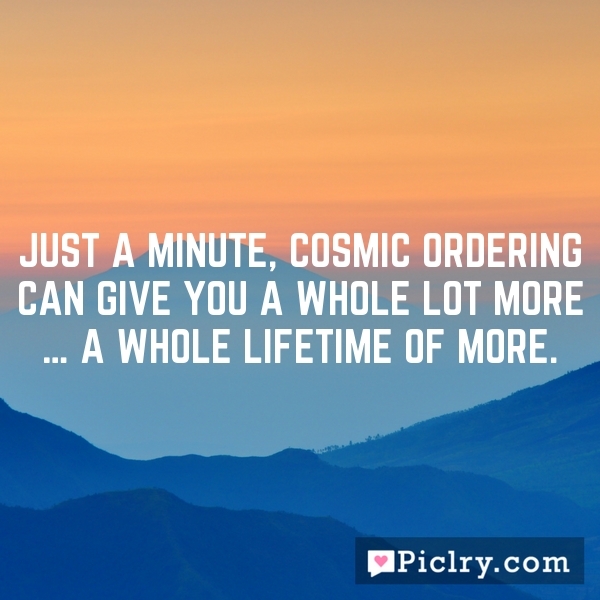 Just a minute, Cosmic Ordering can give you a whole lot more ... a whole lifetime of more. Just a minute, Cosmic Ordering can give you a whole lot more … a whole lifetime of more. Cosmic Ordering is with you in all that you do. Don’t waste time making money … use Cosmic Ordering. There is no beauty in sadness. No honor in suffering. No growth in fear. No relief in hate. It’s just a waste of perfectly good happiness. One resolution I have made, and try always to keep, is this: To rise above little things. Instruction does much, but encouragement everything.